a four day weekend for my Prince Charming and me. Valentine’s Day falls on a Thursday, then we both have the following day off, Friday. We are off on Saturday and Sunday, as always, but then Monday is Presidents’ Day and we’ll be off then, too. And to top it off, it will be payday for me. Hoping to put together plans for our backwards date from my Winter Bucket List. PC’s first baseball practice. He played third base, right center field, catcher and pitcher. Every time I looked up, he was in a different position. I am thinking this would be the same thing as listening? 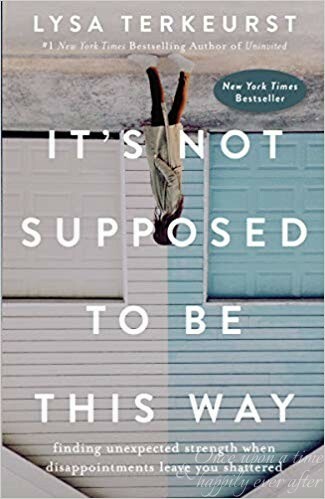 I am listening to It’s Not Supposed to be This Way by Lysa TerKeurst and participating in a Bible study hosted by Proverbs 31 Ministries. Thank you, Kellyann at This Blonde’s Shopping Bag, for mentioning this book and study on your blog. 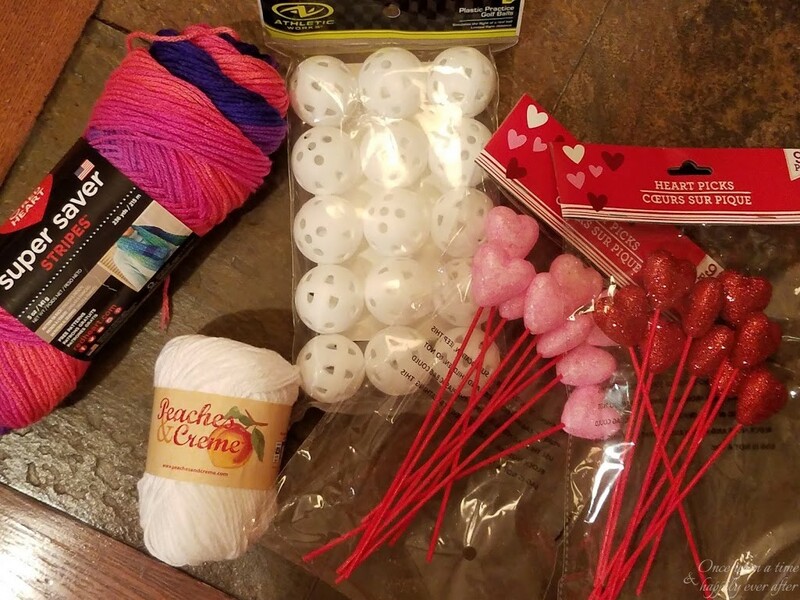 several crafts for Valentine’s Day. 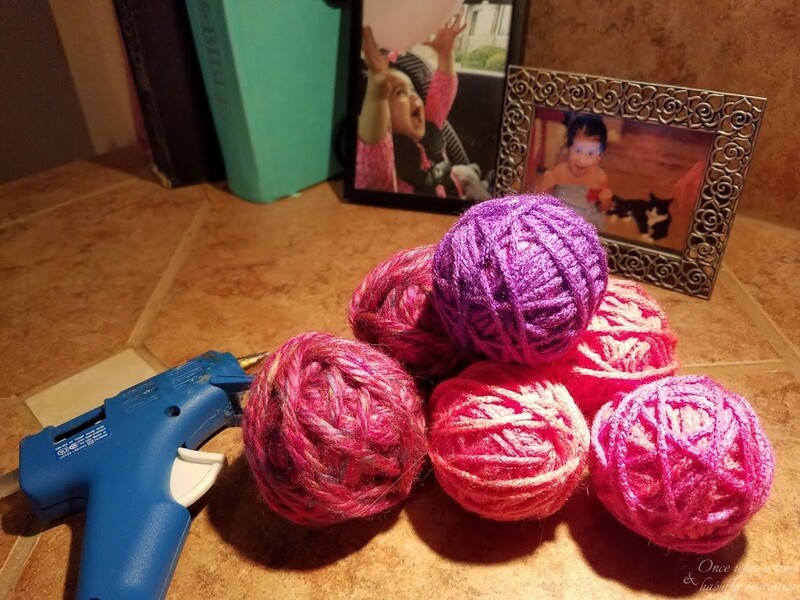 Decided to make some yarn balls to use as filler for a wooden bowl on our coffee table. Bought 2 packages of wiffle balls for $1.97 in the sporting goods department of Walmart. Had originally planned to use ping-pong balls but when I saw the wiffle balls, I decided they would work even better. Picked out several skeins of yarn, under $3.00 a piece, in valentine colors. One skein was variated going from a coral color to pink to red to purple to blue. Also bought white yarn to break up the color. 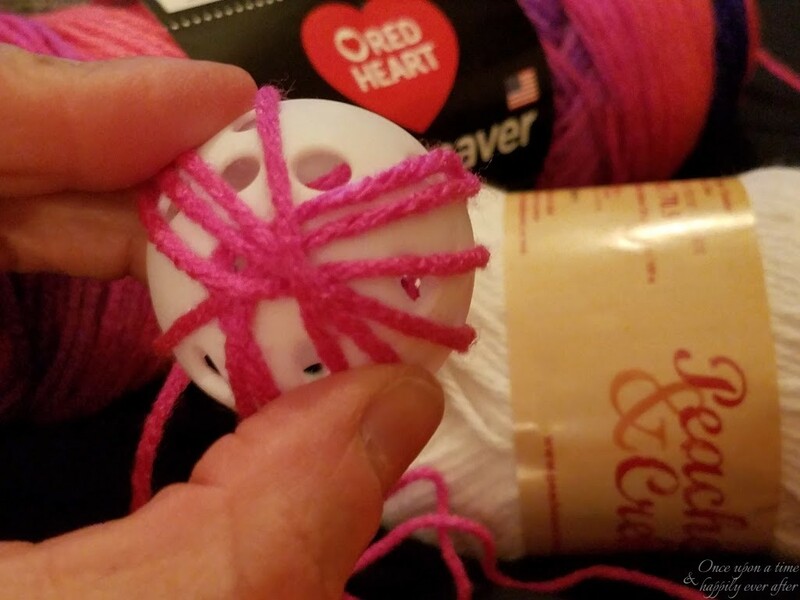 I tucked an end of yarn into one of the openings in the wiffle balls then began wrapping the yarn around the ball until the ball was completely covered. 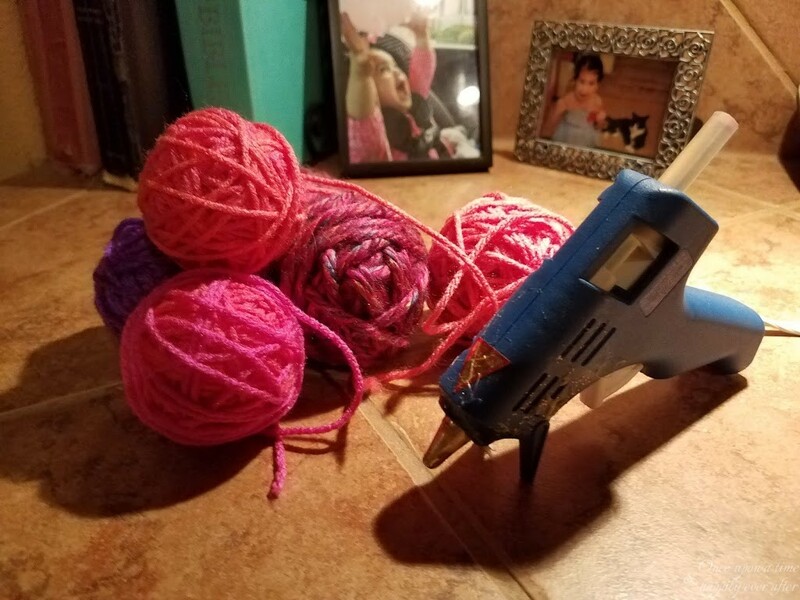 Once all of my balls were wrapped with yarn, I used my hot glue gun to tack down the loose ends. Before decorating with them, I added a couple of drops of essential oil to the yarn on each ball. They smell so good! Then I used my finished yarn balls to decorate in several ways. 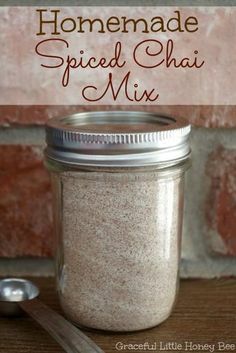 The little lights kind of warm the essential oil and help cast the fragrance into the room. Stay tuned for the reveal of my 2 tier tray in an upcoming post. 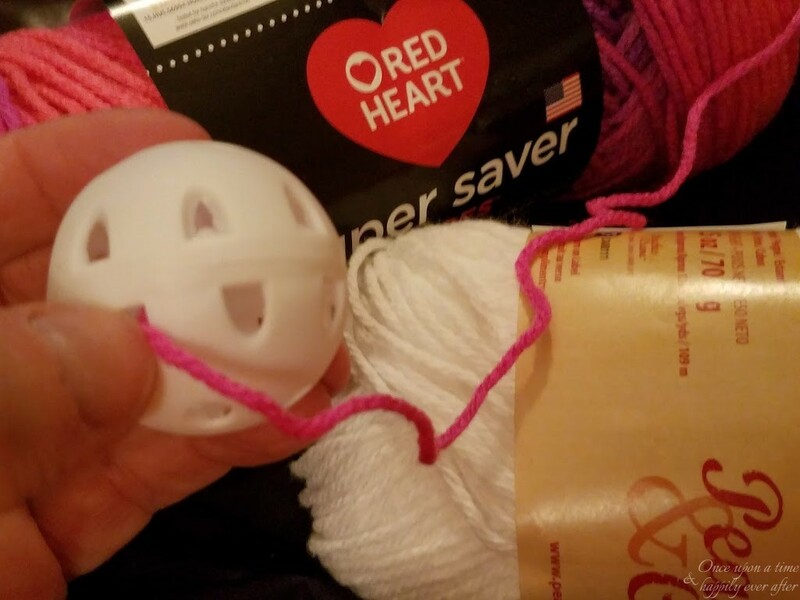 I used these little yarn balls in it and in a little cart I have in my kitchen. More to come! two shows while I iron. “Sharp Objects” with Amy Adams and “The Marvelous Mrs. Maisel” with Rachel Brosnahan. Of course, on Monday’s I watch my beloved “Bachelor”. I know, I know…killing brain cells but I love it so much. And tonight I listened to the President’s State of the Union address. This series is always fun, so glad I discovered it. 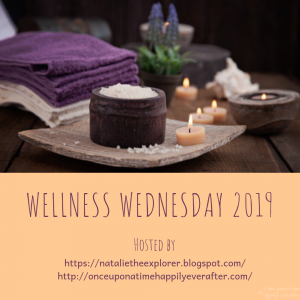 If you blog, would like to invite you to join all of us for next month’s edition of Currently on 03.06.2019. Pencil it in your planner! 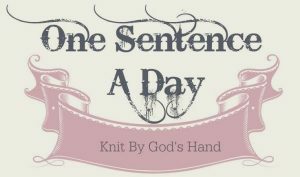 How would you respond to the prompts for this month’s Currently link-up? What are you anticipating, going (to), hearing, making, and watching? Would love to hear in a comment below. We began inventory at work today and it whooped my behind. 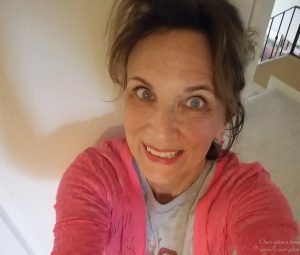 I climbed up and down a step ladder a zillion times, enough to give me 4,000 steps…all vertical! And PC had 2 MRIs today…was in that blasted machine for close to an hour. Hoping to get some answers and relief for his back pain. But we went to the gym late this afternoon anyway. By golly, the scales better be nicer to me! Enjoy your HuMp DaY! The weekend is in view. Yay for you and your getaway!!! I’d be giddy to be heading somewhere with my sweetie. Even though it’s just us in the house it’s nice to go someplace different! Glad you like the book and study, I just love it. 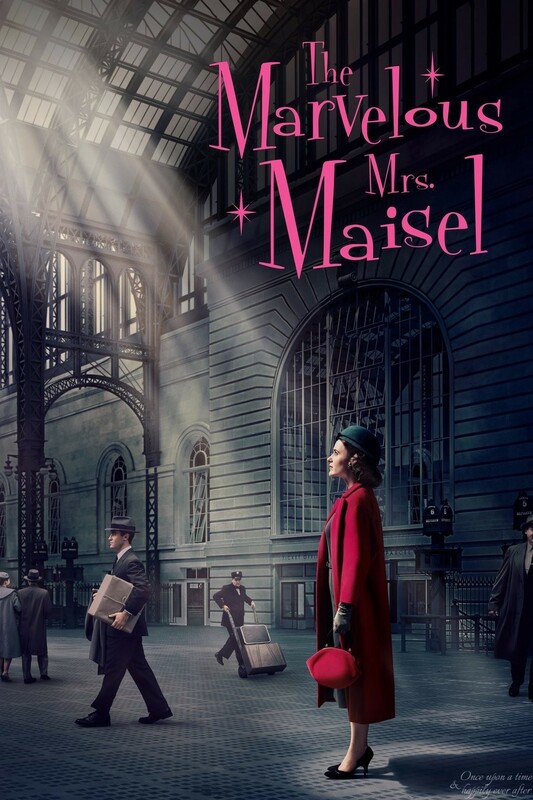 On the completely other end of the spectrum, boy I loved watching Mrs. Maisel, both seasons were sooooo good, lots of cursing that I could do without but I laughed so darn hard. Your craft is so inspiring, I think I could do that! The essential oil was a nice touch. Great job my friend, have fun planning your getaway!!! Tomorrow is the day for our get-away. I am excited. Hope we enjoy ourselves. It’s just us in the house – oh, and the kitties – but it is nice to just go somewhere else for the night. My favorite part of the Bible study has been the discussion of rebuilding from dust, and using the pottery shards being returned to dust and added back into the clay for a new object. I have been listening to the book in the car. Need to do the study but find it hard to read things online and respond to them. I need to print off the PDFs and then write on the pages. Does that make sense? Hope you are enjoying a long weekend. Glad Collin could take home the Valentine bags you had for both sons. I know they appreciated the love. I was stunned when my youngest SON said that he was watching The Bachelor with a group of friends…until he elaborated that they watch it like fantasy football…trying to predict a winner, trouble maker, and who goes home each week. Definitely a guilty pleasure watch for me…but we also currently enjoy “Below Deck” …and the occasional Housewife madness. 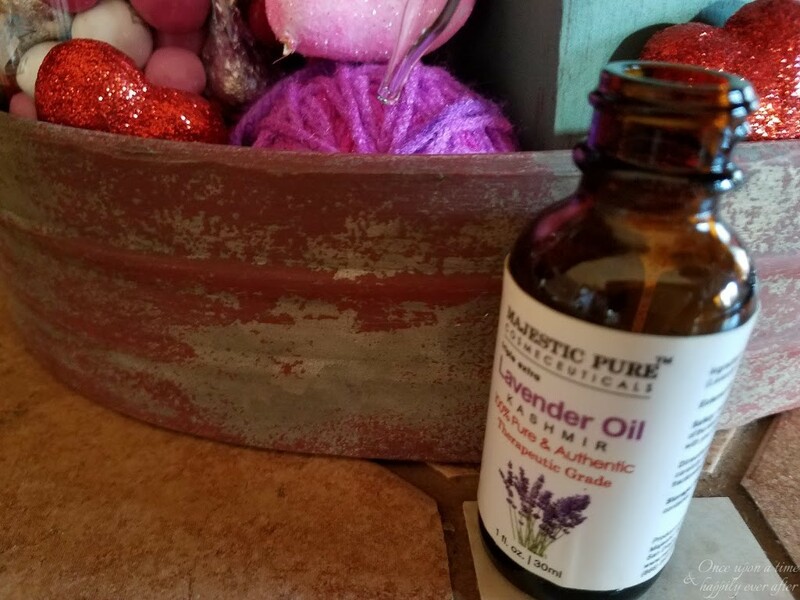 Love your little yarn balls…but adding the essential oils to them was genius!!! Hope you enjoy your V-Day. Our aforementioned youngest is in a track and field event in NYC that weekend, so we’re heading up that-a-ways to watch. I LOVE that your son is watching The Bachelor! Girl, you have raised that boy right. Even if they are only watching to bet on the winner/loser, they are watching. My PC watches with me, too, but would never want that to get around. He usually knows all the names better than I do. Hope your jaunt over to NYC was fun. Are you guys getting slammed with more snow this week? Looks like we might get a flake or two down here. I love those yarn balls! 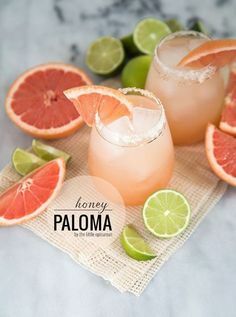 What a great idea to put essential oil on them too! Thank you, friend! Some little yarn balls might make nice sachets in my dresser drawers. Or stuck down inside our tennies??? What a clever craft idea, that looks so effective. Enjoy your long weekend with your PC – will you get to do that backwards date after all? Have fun! Yay! The backwards date is on the agenda for this weekend. Hope I can pull it off. 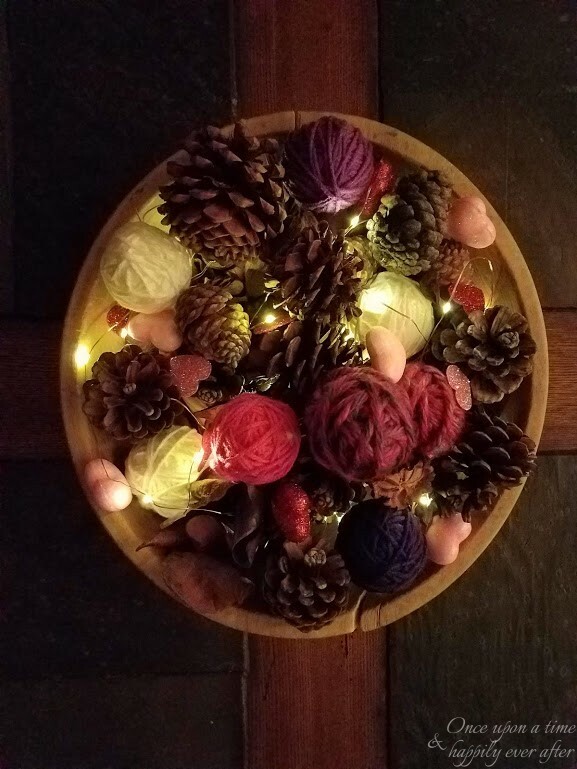 I am thinking my yarn balls could be cute for several holidays – in red, white and blue for our 4th of July, Christmas colors for that holiday, even browns, oranges, reds for fall and Thanksgiving. Now to watch for yarn sales! Yay for a getaway! I look forward to hearing about that. Love what your making. I need to get my currently post up. 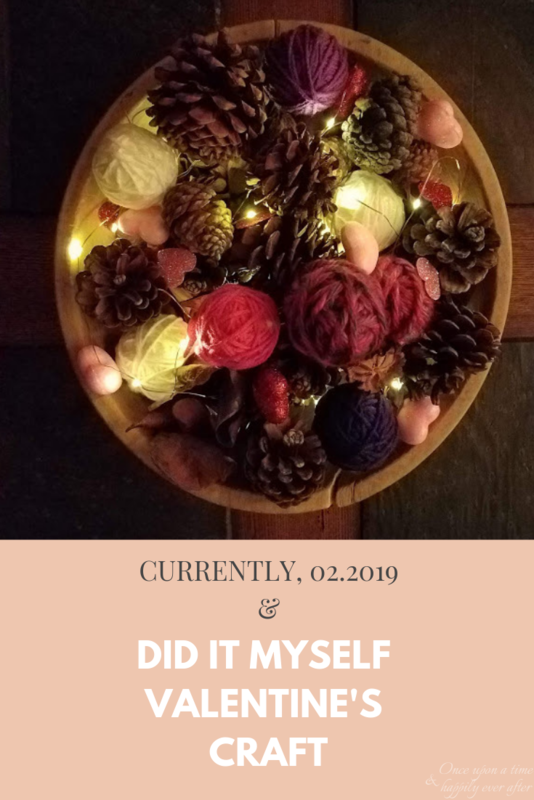 I just can’t keep up with blogging with my new job, but I’m trying to get a post up here and there. Where are you working these days? 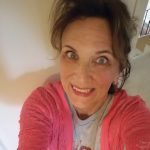 Have missed your voice in blog land. I struggle to get posts written and posted on schedule. But never fear, if you participate in Sentence a Day, or the bucket list posts, or Stepping Outside My Comfort Zone, we leave the link-ups open for weeks. That way folks can link up when they have a chance. We celebrate our Valentine’s Day tomorrow. Hope it will be fun and a treat for both of us. Thank you for visiting, friend! Whoa, 5 snow days, huh? Does that mean your son will be going to school until July this summer? 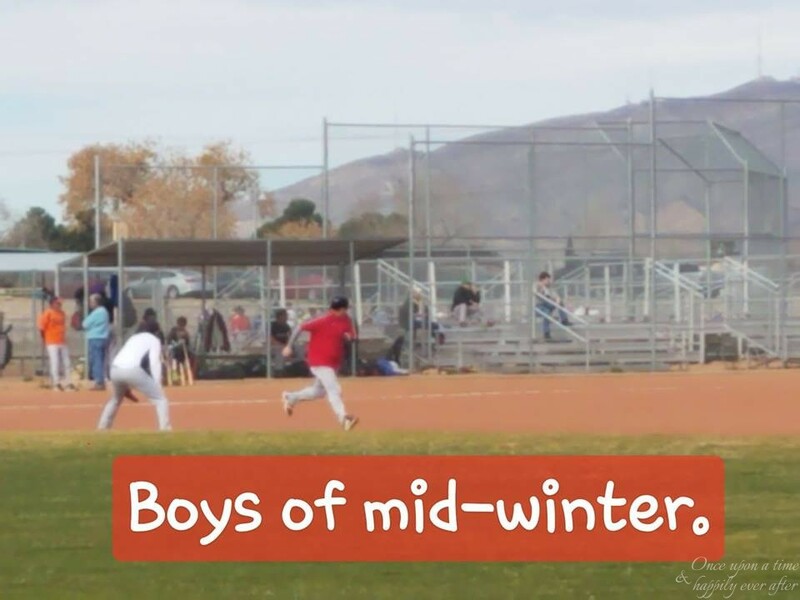 We have one snow day allowed before we have to start making up days but here in El Paso, we never have enough snow to miss more than a day or two at the most. Thank you for coming by. We are just starting this 4 day weekend and kicked it off by sleeping late and going to the gym. Looking forward to having 3 more great days. YOU make me laugh! So glad we are friends. Loved the pics of your baby girl Zaeya feeding the cows. Thank you for sharing your life with me. 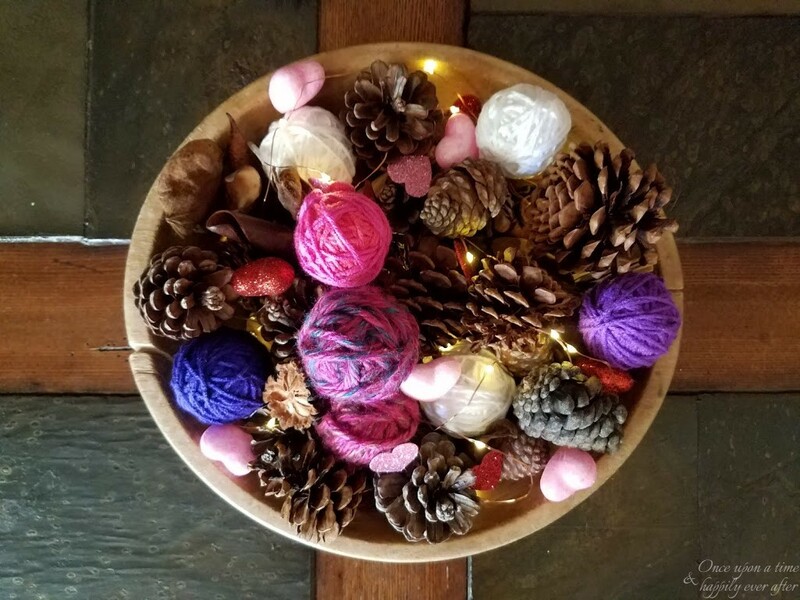 I am thinking I might need to make yarn balls for all the holidays! Ha! Easy, stress-relief. Cheaper than counseling and retail therapy, too. Your yarn balls turned out great! What a genius idea to use a waffle ball to make them! I haven’t watched the Bachelor yet this season; Colton kind of annoys me. 🙂 Love a good thriller though and Sharp Objects sounds right up my alley! Enjoy your weekend getaway! Oh, Jill, you have to try Sharp Objects. But be sure to watch it up to the very last second of the very last credit on the final episode. So good. I like Amy Adams in any and everything and she does a good job in this show. Please try it!! Yeah, not a huge Colton fan either but I just love Bachelor. Which, I know, is kind of silly but it is my guilty pleasure. There are several gals this season who seem down-to-earth and very sweet. Hope there will be a happily ever after ending. 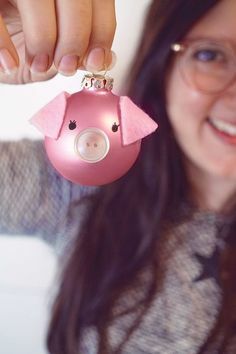 Thinking of making some yarn balls for all the holidays. They would be cute for the 4th, huh? And Christmas? PC is going to shoot me! 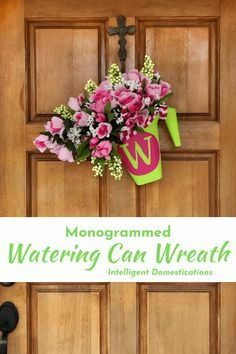 What a fun craft and a great way to use up yarn! Thank you, sugar plum! I am thinking these little yarns balls would be good for Christmas. Even hanging on the tree or used in a garland. Thank you for coming by. I am going to have to subscribe to Amazon just to watch the show “The Marvelous Ms. Maisel” I keep hearing so much about it. The other one I haven’t heard of before. Is that on Amazon too? You’re “hard of reading” comment was hysterical. Ha!! I like “The Marvelous Ms. Maisel” but am watching it so slowly that I forget from one episode to the next what’s happened. 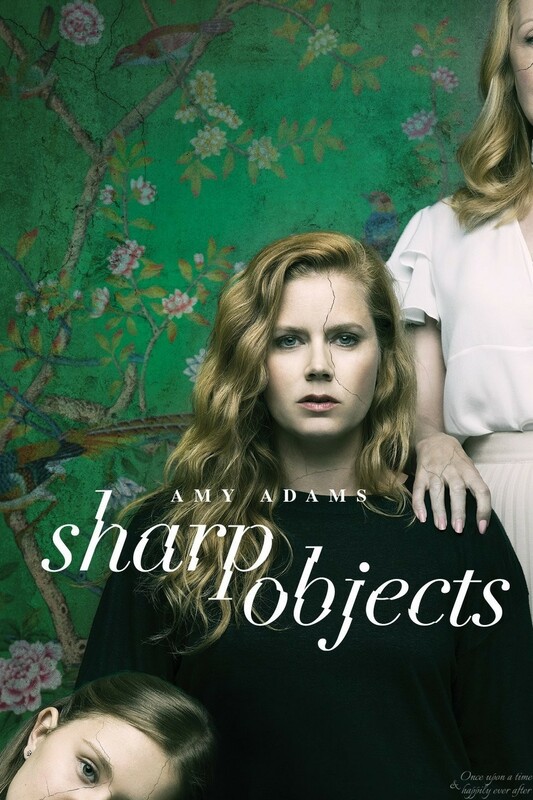 “Sharp Objects” is also on Amazon Prime. Just finished it. Surprise ending and definitely worth watching even through the last of the credits. I almost turned off the tv too soon. Glad you had a chuckle at my comment. Those yarn balls are just brilliant! And CUTE! Clever you! I hope you and your PC enjoy the four day weekend. Thank you! It was a fun and semi-mindless activity making my yarn balls. Thinking I could make some for Christmas, too. Maybe I need to start now!